Leon Anthony, the salesman, seemed honest and willing to help. He gave a very good out the door price and stuck with it. He had to call me to schedule time for the window tinting. They were very kind on the phone when inquiring about the car. Very knowledgeable about the Sienna. They were able to make a quick appointment to come in and were receptive to my needs in making the deal. The overall experience was not stressful in the least. They were able to make the deal quickly. Most of all, the salesman was extremely personable. I just bought my second vehicle in 3 weeks with the help of Joseph Kelly. He will do whatever he can with honesty and openness to make the deal right for you. He is knowledgeable about the auto business and the way it all works. Other than that he is just a good person. I recommend Him to anyone that does not want to feel pressured or taken advantage of in a car deal. Great dealership and even better representative of the dealership. Friendly staff. Straight forward. Joseph was great. Trade-in was more than fair. Quick turn around time. Overall it was a very good buying experience. Joseph assisted me when I found the used car I was looking for. He helped make the process simple and easy. 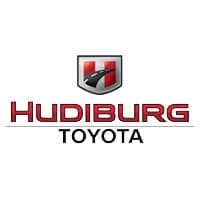 I recommend him to others and since this is the first time buying a vehicle at Hudiburg, I will bring my business back and keep Hudiburg in mind on my next vehicle purchase! Thanks Joseph! They were extremely friendly when I drove in, and I was immediately tended to. I was expecting to be there for an hour, but it took less than 20 minutes! I will definitely be coming back to this location. I love bringing my rav4 here! The guys at the service center are great. Kenny is the best! He’s so nice and goes above and beyond to make sure that my vehicle runs smooth! 5 stars!! !